Leading up to today’s playoff game at Dallas, the Detroit Lions had one of their best weeks of practices of the season. For the Lions to win their first playoff game since 1991, they don’t have to play perfect football, but they must all be at their best. 1. 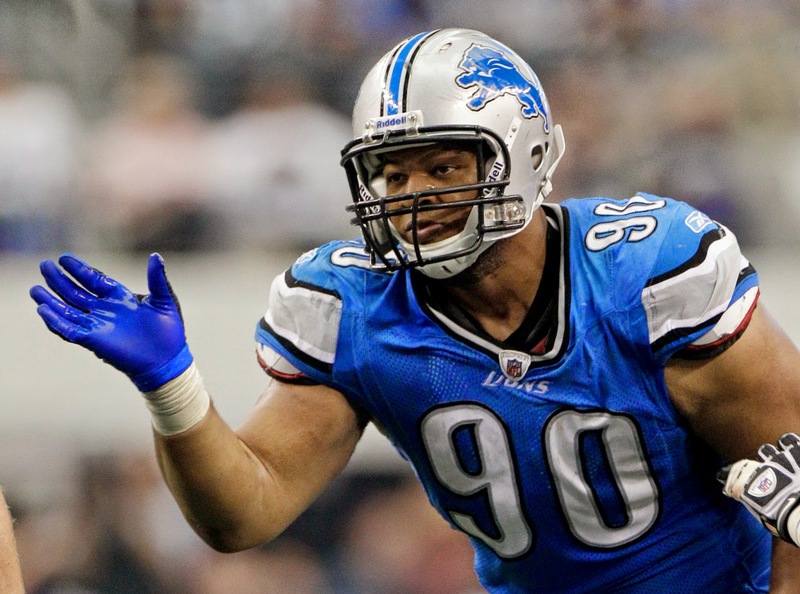 Ndamukong Suh could be playing his final game wearing the Honolulu blue and silver. He’s never lacking for motivation, but might just be a little more steamed after the one-game suspension that was overturned. He wants to show any possible suitors that he can be at his best in the playoffs. 2. Matthew Stafford has thrown nine touchdown passes against just two interceptions in the Lions’ last five games. Those are playoff type of numbers. Not only does Stafford have to lead the offense to put numbers on the board, but he cannot turn the ball over. 3. Reggie Bush has been playing better for the last few games now that he is healthy again. The run game must come through for the Lions and Bush is a big part of that. 4. Calvin Johnson has had big games against the Cowboys. He had 329 receiving yards in a 31-30 win over the Cowboys last season. Johnson had a pair of touchdowns and 96 yards in 2011 in win at Dallas. The Stafford to Johnson connection should be a key component of the offense. 5. Safety James Ihedigbo was benched last week in the second half for reasons never fully explained. Expect to see him at his best, like he has played all season or maybe a notch improved.